Granite Repairs come in all shapes & sizes literally. Most people assume that their granite is indestructible. Well, it is... to a certain point. Remember, it is still a product of nature. 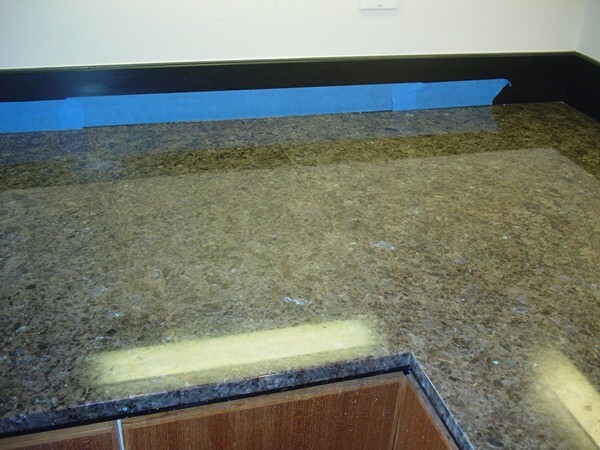 Under the wrong circumstances, granite can chip, scratch, dull, and stain like any other surface. Not all granite is equal. Since granite is a natural material, each type of granite can wear or react differently to any given situation. Granite is very hard and dense (based on Mohs scale of hardness - most granites rate @ 6 - 8; Diamond being 10). Granite is composed of multiple minerals. Typically, they are quartz, potassium feldspar, biotite & muscovite micas. Granite is harder than most other rock types because of its interlocking mineral structure which is the result of mineral crystals out of a molten state. 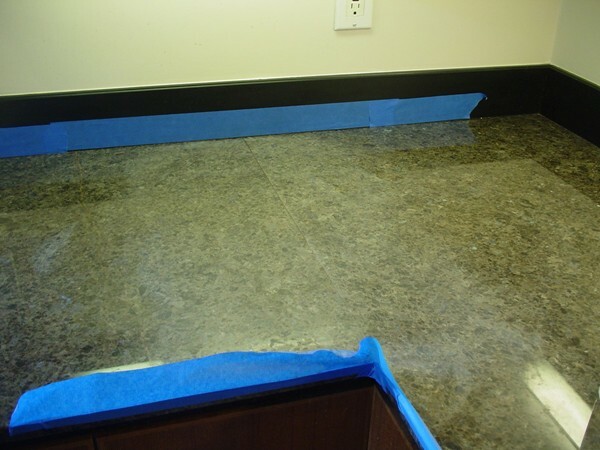 Most granite damage that I have come across were actually due to; improper installation, bad design during fabrication, attempts of DIY repairs, and bad or improper maintenance. Cracks occured due to lack of support in narrow areas like sink rails or hangovers that with no brace. Some cracks were from people standing on the counter to fix a light bulb. Chips were due to reckless washing of dishes - usually pots & pans. Stains were caused by lack of sealing. Dullness were caused by leaving wet surfaces to dry on its own. There are many more to add to the list, but all problems were due to unwarranted situations. The good news is that granite can be repaired to factory condition, if not better. In the photos above, the seam was uneven due to installation. The contractor tried to correct it by resurfacing using improper abrasives. The surface became rough and wavy. Advanced Stone Restoration refinished the surface mechanically by use of professional diamond pads on hand held machine to flatten the surface and bring it back to a brilliant shine. If you are tired of uneven seams, chips, dullness, and cracks, please consult our stone specialist to schedule an evaluation @ 292-1266.